I have written over the past few years about the excellent work of Solar Cities Scotland, and in particular its insulation pilot work in Logie. 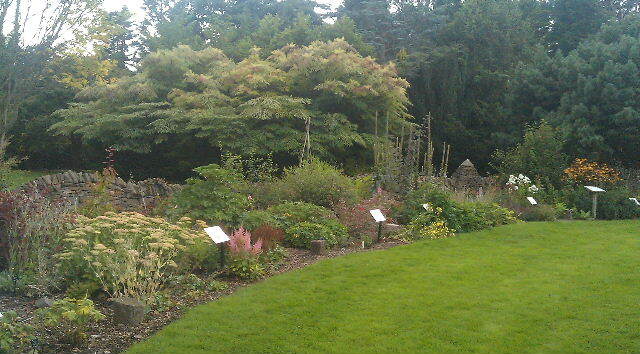 The current project has been funded by the Scottish Government’s Climate Challenge Fund since July 2012. It has saved 800 tonnes of carbon dioxide emissions over this period – this is roughly the weight of 4 jumbo jets! – 110% of an enormously ambitious target. Very sadly, due to funding issues, Solar Cities Scotland is ceasing operational activity as from 31st March. Whilst the project’s board hope to secure future funding to allow for recommencement of the project’s work in the future, I have spoken with City Council officers about how it can be ensured that the work and expertise of the project’s team is not lost. Today, the team held an end of project celebration event at the Hannah McClure Centre at Abertay University and, although my visit was short due to a hugely busy diary, I was able to call by to wish the team well and thank them for all their excellent work. 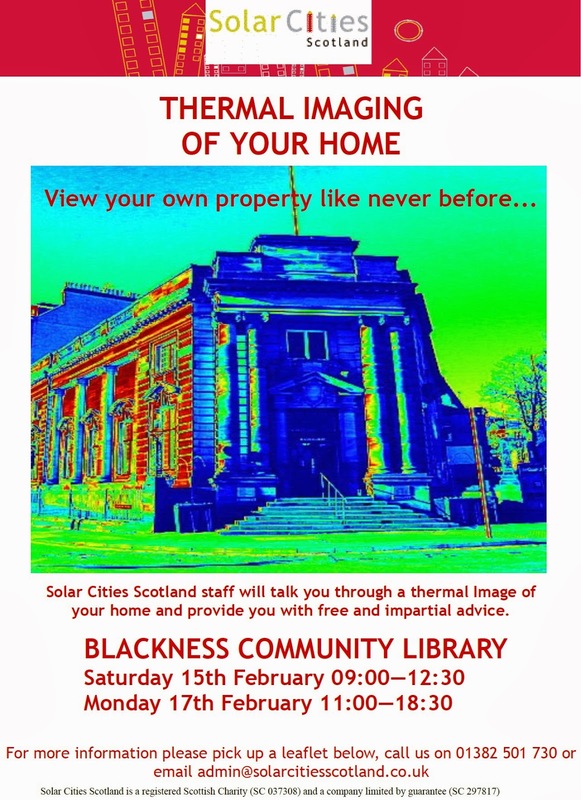 Solar Cities Scotland is currently recruiting householders to undertake an energy monitoring project. 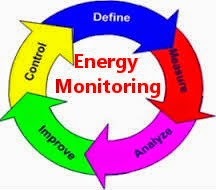 This is to help us monitor if our advice has managed to reduce actual electricity consumption. 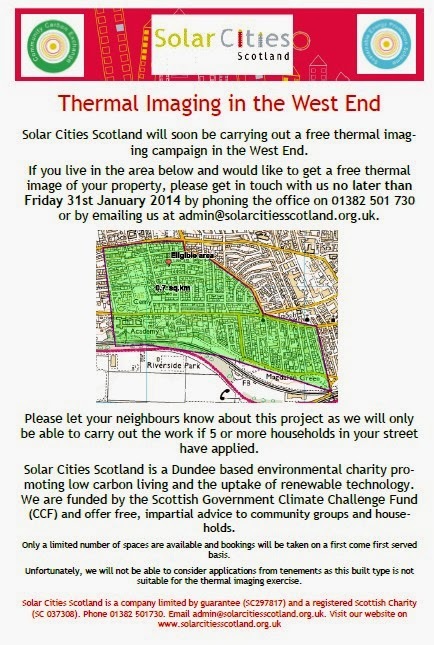 If this is something any West End resident would be interested in, please phone Solar Cities Scotland on 501730 or e-mail Shona Bain at sharon@solarcitiesscotland.org.uk. 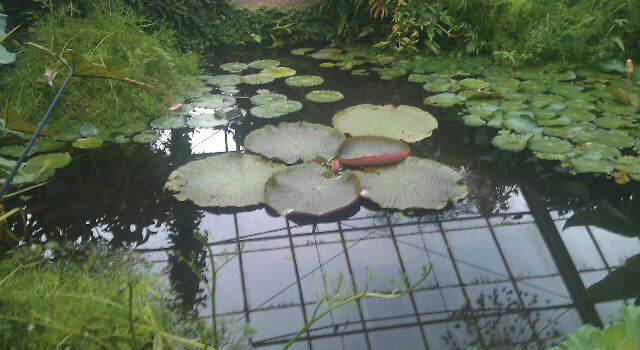 Last year, I met with Solar Cities Scotland about their Dundee Green Challenge project. The West End Ward is a part of this project and it aims to work with residents on a variety of projects that will encourage 2 600 households to take up low carbon living. 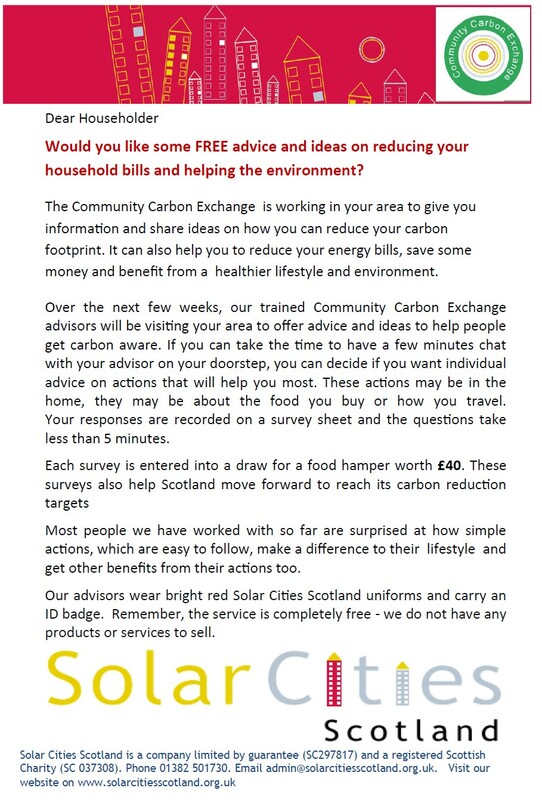 There is now a team of canvassers in the West End who are asking local people to take part in a short survey and then commit to some carbon savings actions if they are interested in them. The canvassers then carry out a follow up in a few weeks to find out if people have carried out their actions. I’m meeting with Solar Cities Scotland later today to discuss ways of promoting this excellent project. Here’s a poster about the project (below) and you can download a higher quality version of this here. This morning, I had the pleasure of touring the very impressive new entrance to the Matthew Building at Duncan of Jordanstone College of Art and Design, on Perth Road, and at the invitation of the University of Dundee. 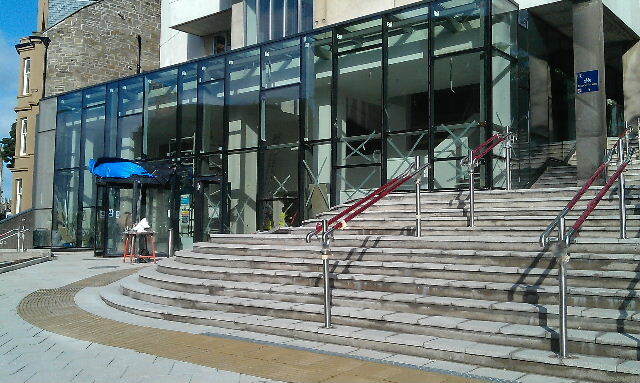 The new entrance (pictured below) is nearing completion just as the new academic year is about to commence and it greatly enhances the Duncan of Jordanstone entrance. The next phase of improvements at Duncan of Jordanstone will see the upgrading of the plumbing system and the fire alarm system in the adjacent Crawford Building. Thereafter, I attended the latest committee meeting of the Sinderins Court and Pennycook Court Residents’ Association, at which a number of local issues were discussed, including noise issues and garden maintenance. Later today, I had a very useful meeting with Solar Cities Scotland about their Dundee Green Challenge project. The West End Ward will feature in this (along with the North East Ward) to work with residents on a variety of projects that will encourage 2 600 households to take up low carbon living. 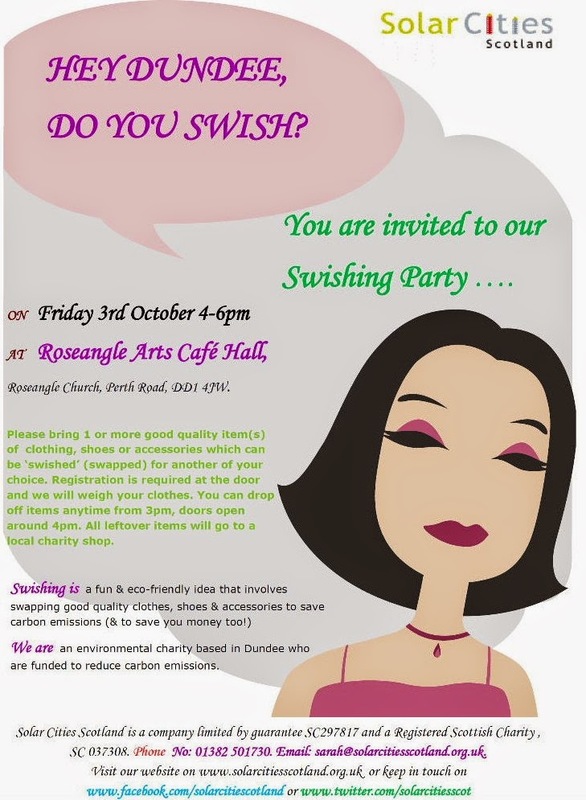 In addition, there will be a household renewable energy and insulation advice service giving advice on how to improve residents’ homes through the installation of energy saving measures and renewable energy technologies. It is a really exciting project and I had a very useful discussion with the Solar Cities Scotland representative about it.